I love s’mores a lot. As in – I have a hard time thinking there is a way to improve them. 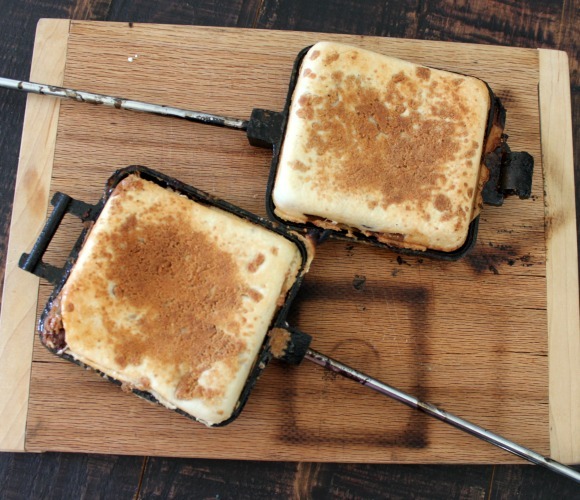 But I’m really into my pie irons right now and I just *knew* that trying to figure out a s’mores pie in them would be worth my time. And boy oh boy was it ever! 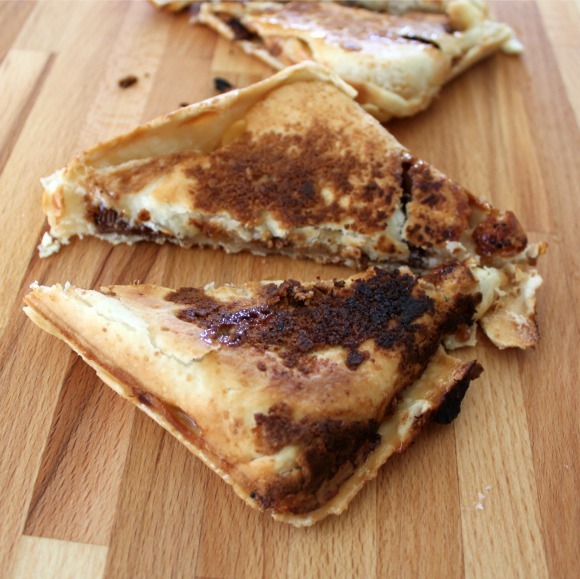 The end result was gooey, chocolatey, graham crackery goodness. 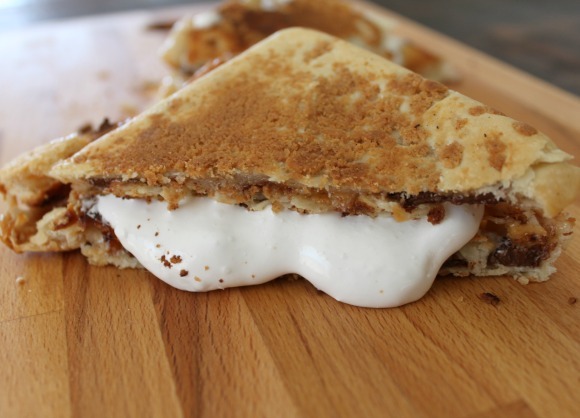 It is more of a time commitment than your basic s’more, but if you want a camping dessert with star power – this is it. Recipes that can be used in all outdoor applications are my favorite – and this is definitely one of them. These would work great at a campsite or in your backyard fire pit. My kids all gave it a big thumbs up so I can say with some confidence that this would be a great addition to a scout camping trip. 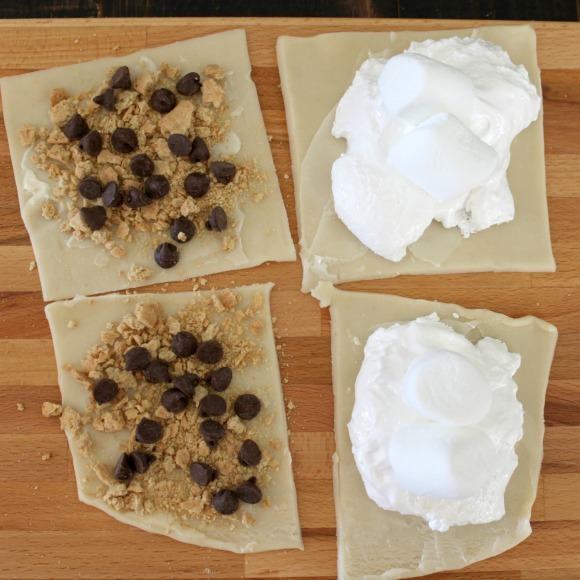 This recipe makes 2 s’mores pies. My advice is to bring enough ingredients to make more than that – I’m quite sure you’ll need it. Season your pie irons if they didn’t come pre-seasoned. Or if they’ve been being used a lot or just came out of storage – remember to re-season them. 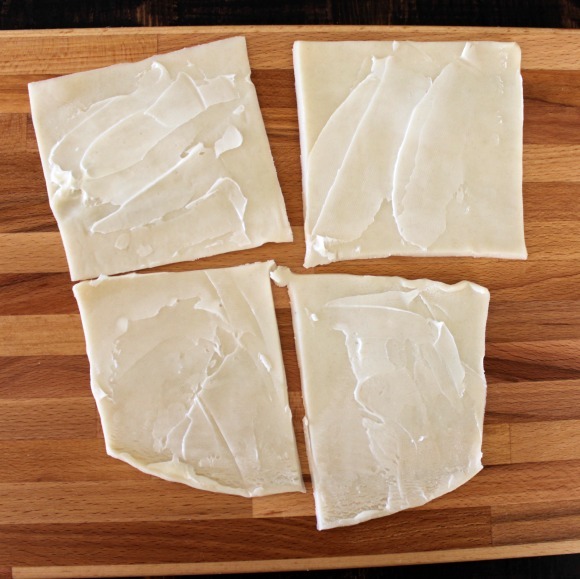 For a quick how-to – you can see the post on making pie iron grilled cheeses. Assemble your ingredients. 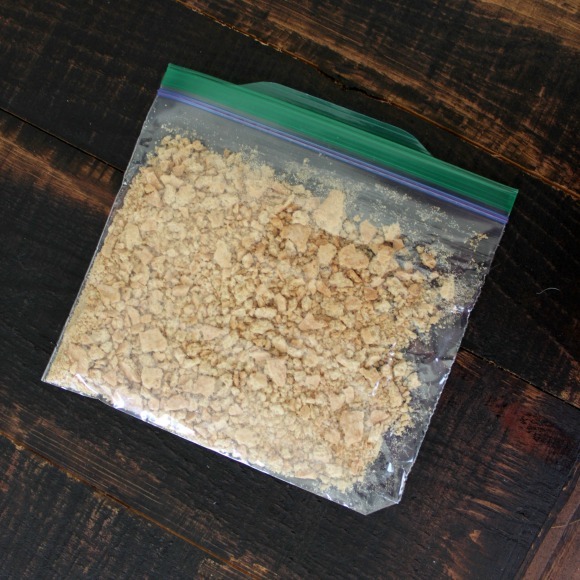 If you didn’t buy pre-made pie crust – make one and just keep it bagged and refrigerated until you’re ready to use it. You can crush your graham crackers ahead of time if you’d like also. You’ll want to get your fire or charcoal (or propane grill) going before you start your prep. Assembling these pies takes just a few moments so you’ll need your coals red-hot or your charcoal white-hot so your pie irons can get warmed up before you put your pies in them. Get those (empty) pie irons in the cooking area to get hot. 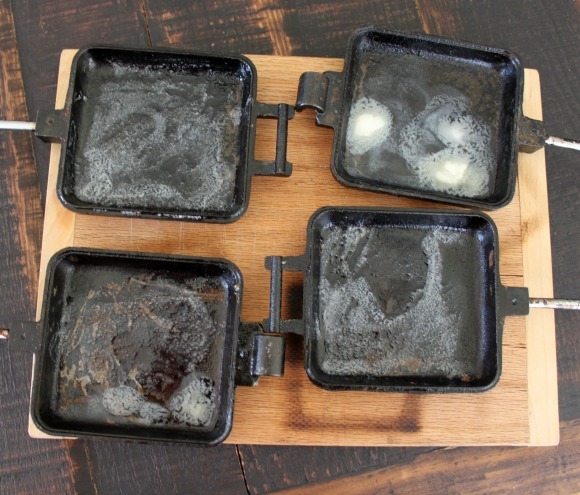 Just like cast iron dutch ovens – pie irons work best by cooking from both sides so the iron needs to be hot before you place your food in it. Start by smashing your graham crackers. 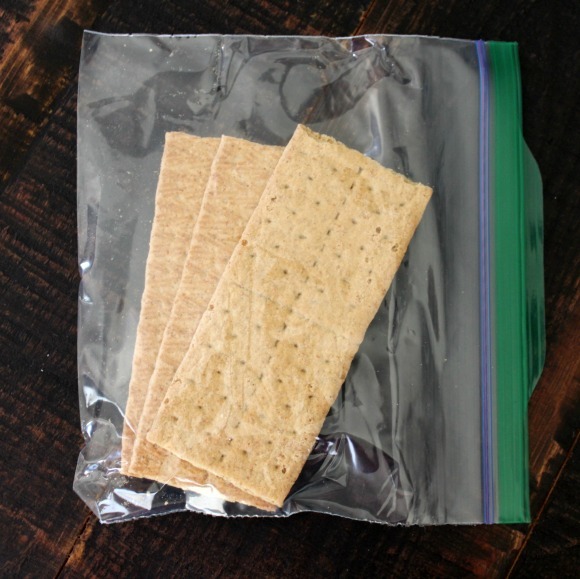 Put them in a zip top plastic bag and use your fist to smush them. 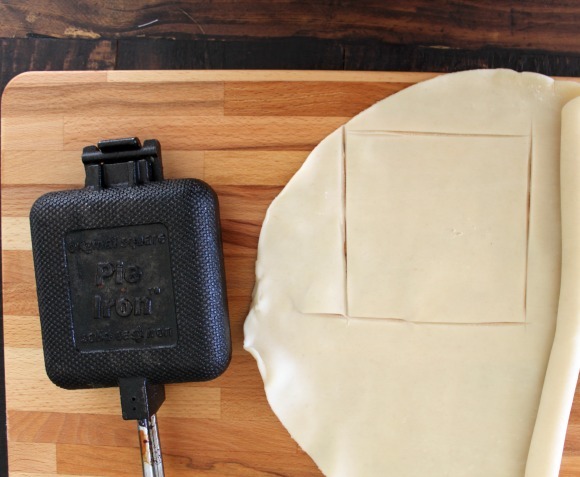 Next, get our your pie crust and cut it to approximately the same size as your pie iron. You’ll need 4 total…a top and a bottom for each pie. I just eyeballed the sizing – it doesn’t have to be perfect. 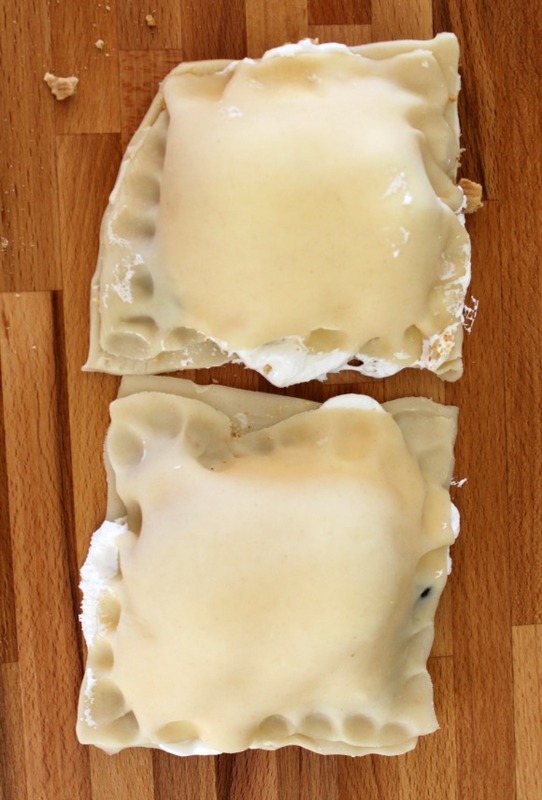 I used most of one crust to make the 4 smaller pieces of crust for our pudgy pies. 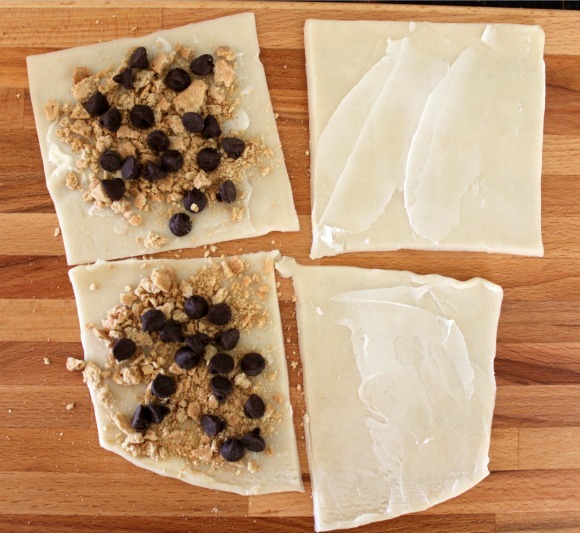 Then, you’ll begin layering your ingredients. Butter all four crusts. 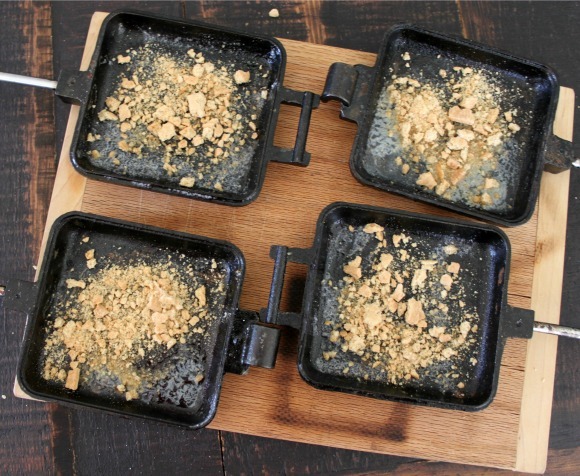 Next, add a layer of graham cracker crumbs on one set of crusts. 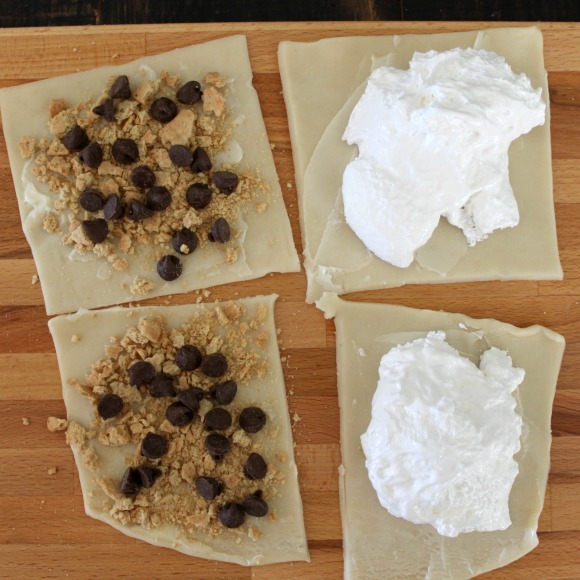 Now add chocolate chips to the side with graham cracker crumbs. Then the marshmallow side! 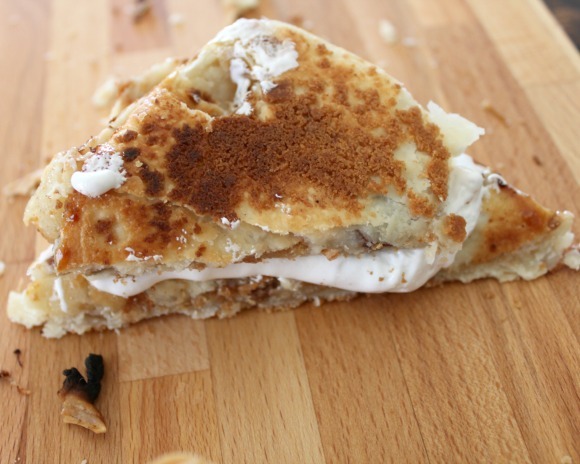 Start by adding a layer of marshmallow fluff on the opposite side from the graham cracker crumbs and chocolate chips. Last, add 2 marshmallows to the top of the marshmallow fluff. I know this seems like a huge amount of marshmallow, but I discovered that marshmallow disappears when cooking it over the fire this way so if you start with a nice thick layer – you’re more likely to end up with the marshmallow flavor we’re after. Again – don’t worry about it looking perfect. Once these are cooked, they look a little rough. It’s definitely more about how they taste than how they look! Then, I sprinkled a little more of those graham cracker crumbs on top of the butter. 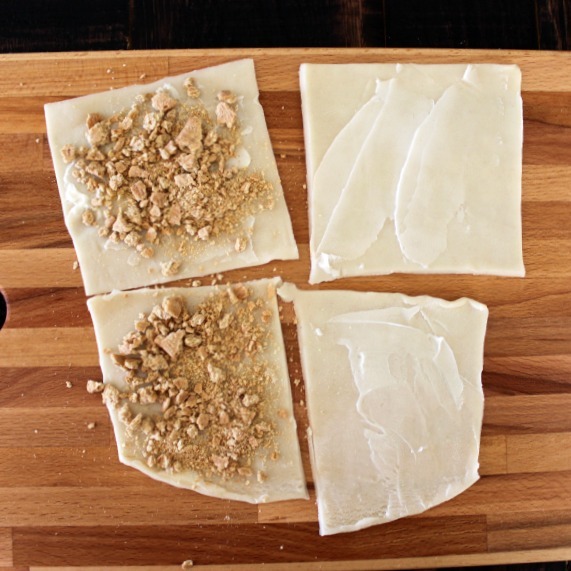 I wanted these pies to be nice and graham crackery. Carefully, place the assembled pies inside the irons. 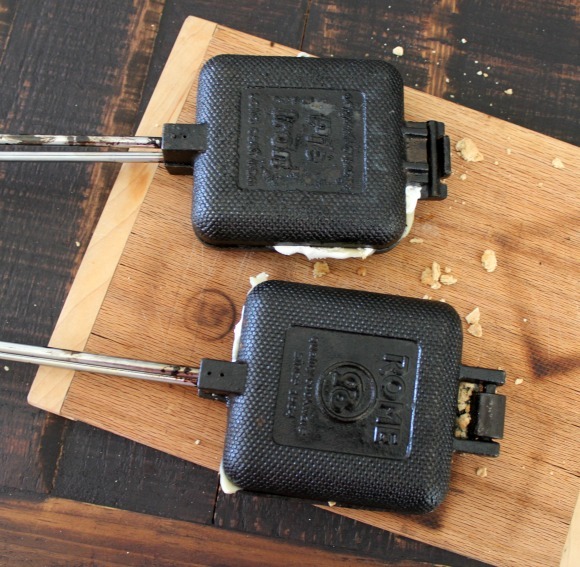 Secure the clips close to the handle and get them cooking. I cooked them for about 5 minutes, then switched them to the other side and cooked them for about 8 minutes more. 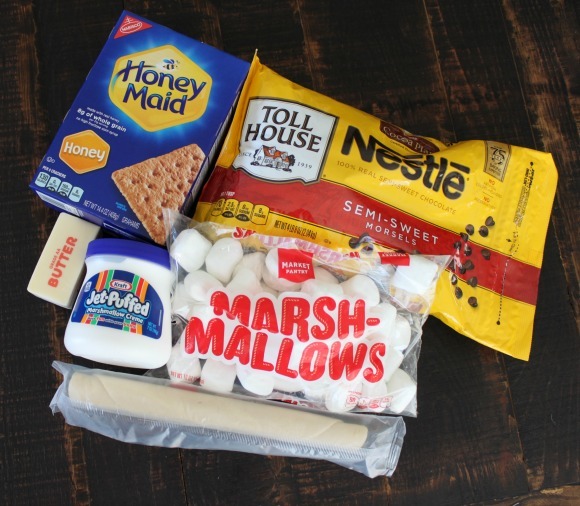 You’ll lose a lot of marshmallow during the cooking process. 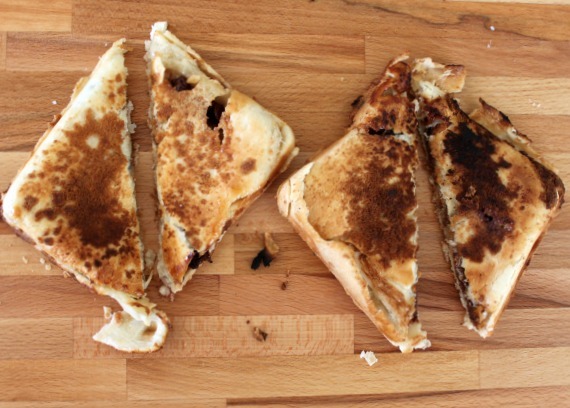 Don’t be alarmed if you see if oozing out the sides of the pie irons. That’s why we went big on the amount of marshmallow in these pies. Also remember it’s easy to check for doneness as you go along. If you’re at all wondering, simply unclip the irons and take a peek. You’re looking for a nice golden brown crust. Here’s a shot of mine right when I pulled them off the fire. And here’s a shot of them cut in half. You can see how much marshmallow was lost. After cutting them in half – I was wondering how I could make the marshmallow not disappear quite so much. And then it hit me! 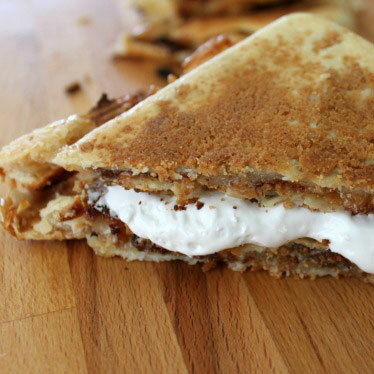 I added another layer of marshmallow fluff between the two halves – almost like a sandwich cookie. And it was perfect! The crust tastes like the melted marshmallow, but you still get actual marshmallow goodness in each bite. The graham crackers and butter fuse to the pie crust and there was just enough chocolate that it was all melty and delicious. 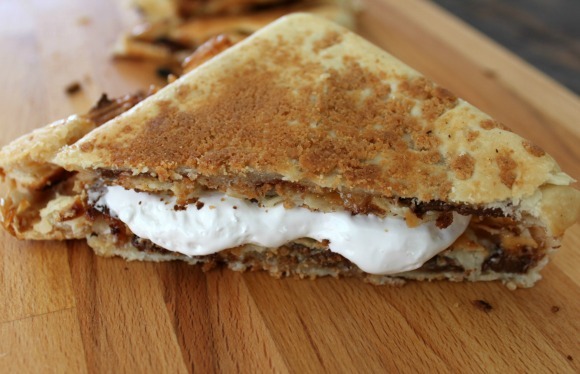 S’more perfection! That looks amazing!! Going to try them out this weekend!